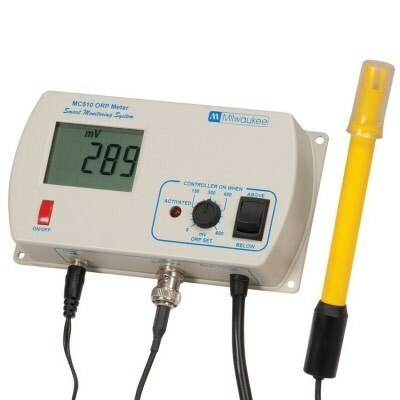 Monitor and control ORP level with the MC510 ORP Controller. Ideal for CO2 or ozone dosing. Features a large, easy-to-read LED screen with a visual alarm that activates when reading is higher or lower than the user-selected set-point. Includes 12V adapter and MA921B/2 Probe.